Here’s the honest truth: You’re busy and finding the time to be not only efficient but effective is a constant struggle. Recent research from MarketingProfs has found that B2B companies plan to increase digital marketing budgets by 12 – 15% year over year. But are the funds being invested in the right place? 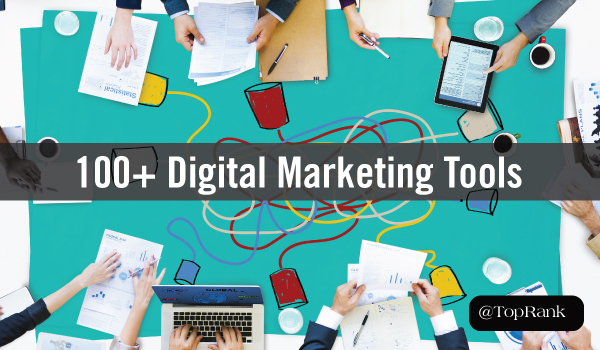 A healthy mix of talent, customer experience, process and digital marketing tools are a winning combination for digital marketing success. Below are insights into some of our tool related posts that we’ve gathered to help you choose which free or paid tools are the best fit for your organization. Improving your conversion rate is a never ending battle that requires testing and optimization. To make your conversion rate optimization efforts easier, this post contains 21 hand-picked tools to get a better ROI on your website. Crazy Egg is a platform that tracks scroll and click tracking on web pages to better understand customer interactions. Crazy Egg does a great job tracking a heatmap of where people clicked on your website. Planning, executing and measuring content marketing activities has become increasingly complex. The intricacies of today’s digital world require a measured approach to developing a successful content marketing strategy. These tools can help. This tool has a built-in workflow to manage content production, content review and publishing. It also eliminates the need for time consuming planning outside of the platform with an intuitive planning calendar and distribution mechanism. This tool combines insight (analyze pipeline impact), alignment (streamline content supply chain) and simplicity (ease of adoption). Users can get up and running in less than an hour with limited/no IT support; addition of CMP to existing curation tool/product makes Curata a viable all-around player. This tool from Oracle supports custom workflows and uses custom rights/roles for publishing. Plus multiple tag support, real-time content scoring, multiple content formats supported, multiple ‘publish to’ locations, integration with email to dynamically produce emails, full support of metadata tags, easy connections to popular social networks, easy dashboarding of metrics and SEO advice. Blogging has become a high-priority focus for marketers today. While there is pressure to create more and more content each year, these tools can help you focus on creating more impactful (and optimized blog content). This tool is a favorite around the TopRank Marketing office. Users generate a score from 1-100 based on different factors of your headline. This information provides useful insight into what you can do to improve your headlines, and what you’re doing well. Users are able to test a URL or copy-and-paste text in, and get a detailed analysis. This tool provides useful stats on average sentence length, percentage of complex words, and more. Beyond the “brandividual endorsement”, people with a strong center of influence can provide valuable context and credibility to a company seeking to connect with an audience of buyers. But in an age of information overload and the ability for anyone, anywhere to publish, finding those influential connections in your industry can prove to be a challenge. Using these tools, can help uncover an influencer match. Traackr is a premium category of service that is billed as an influencer marketing and analytics platform that helps you discover influencers, get social insights and figure out how to best connect. Features include an influencer search engine, profiles, dynamic lists, share of voice reporting, sentiment analysis, trending content and others. PR, Communications and Marketing pros use this service. PeerIndex is now a part of Brandwatch. This tool uses analytics from a 200m influencer index to to gather insights into the communities that you’re trying to reach. This list is a combination of the best social media marketing management tools, platforms and services to help manage and scale your online marketing efforts on the social web. This tool provides great reports for social accounts and shows social content and monitored keyword searches in one stream. You can schedule content on all your accounts with a convenient publishing system and manage your Social messages on the go with a mobile app available on iOs and Android. Supports Twitter, Facebook, LinkedIn and Google+. Agorapulse is a social media management toolkit for Facebook, Twitter and Instagram, supporting contest applications, monitoring, CRM and one-click, customizable ppt reports. All social content is funneled into an ’email-like’ inbox feature and syncs accounts in real time while retaining past conversations and social data from fans & followers. This was the first software to introduce the queue publishing system allowing its users to schedule content across most social networks without having to individually schedule them. It covers all Social Networks except for Instagram, and is definitely the best publishing system out there. Buffer offers free and paid versions. Understanding the competitive landscape is the first step in outsmarting the competition. Knowing which tools can help you beat the competition, is also incredibly important. This tool is relatively inexpensive and has a number of options for both organic and paid search competitive analysis including: keywords, spend, ad copy and the general items one expects to find with a competitive research tool. So what makes SpyFu special? While it can be tempting to go out and find the “magical” tools that will help you create a successful digital marketing program, even more important is the quality of the work that is being created based on what you discover or execute within a tool. I hope that this list of tools provides you with some resources to start from in your journey to create a scalable, successful program. Disclosure: Oracle and Traackr are TopRank Marketing clients. Great list to tools, truly appreciated. 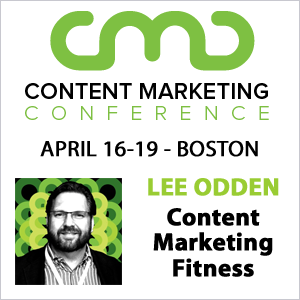 Oracle content marketing is new to me and I will check it out. Some of the tools I use are SEMRush, buzzsumo, prosper and gostats for analytics.